Data Aggregation Solutions | Terrapin Technologies, Inc.
Terrapin Technologies’ data solutions platform, Pandia, offers comprehensive data aggregation and robust data management. Our data aggregation infrastructure is scalable and delivers a global view of a financial services firm’s business. Our implementation methodology and ongoing data management processes ensure that clients can count on data that is complete, up-to-date and accurate. 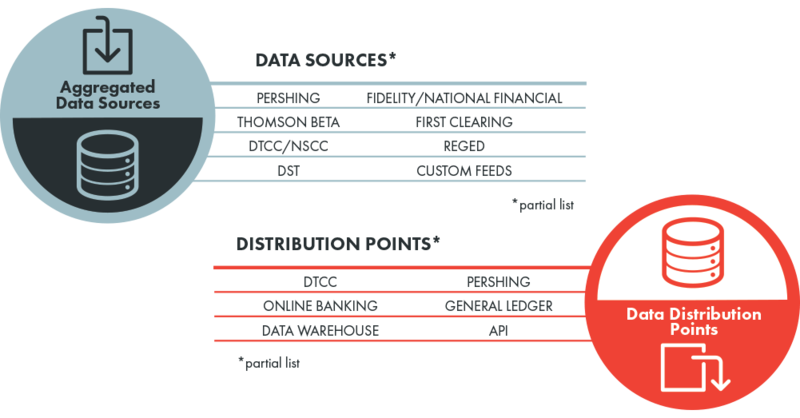 Terrapin integrates revenue, asset and account data by aggregating industry standard sources as well as client proprietary data. Once this data is integrated, Pandia provides tools and reporting for the entire firm, including back office, compliance, management and advisors. We capture detailed financial activity and commission data to provide compensation and reporting services across the organization. We integrate transactional data with additional sources, resulting in a complete picture of the business. Pandia interfaces with our clients’ systems, vendors and external distribution points. Pandia is a comprehensive suite of software and processes that brings cohesion to a financial services firm’s operations, including advisors, back office, compliance and management. Pandia gives broker-dealers the knowledge and flexibility they need to run an efficient and growing business. Terrapin has 20 years experience understanding the unique needs of each client, coordinating development efforts and numerous implementations. Every implementation includes a detailed data integration design phase. During this phase, we engineer an extensive data mapping and integration schema. Each data source is identified, duplicates are removed and the data loading sequence is compiled. The initial data load is tested and validated with several dual entry periods. Our thorough project and change management processes ensure implementations are completed on time and on budget. Quality data delivers accurate commission payouts, up-to-date reporting, timely compliance flags and precise customer balances. Post-implementation, the aggregation of this data is automated and all data sources are processed via a predetermined schedule. Terrapin manages client data, including around-the-clock monitoring, maintaining retrieval schedules and data mapping, and incorporating new sources. With a responsive support staff and quality assurance controls, clients have confidence in a platform that is stable and data that is reliable. Our data solutions meet the ever-changing regulatory demands of the financial services industry.